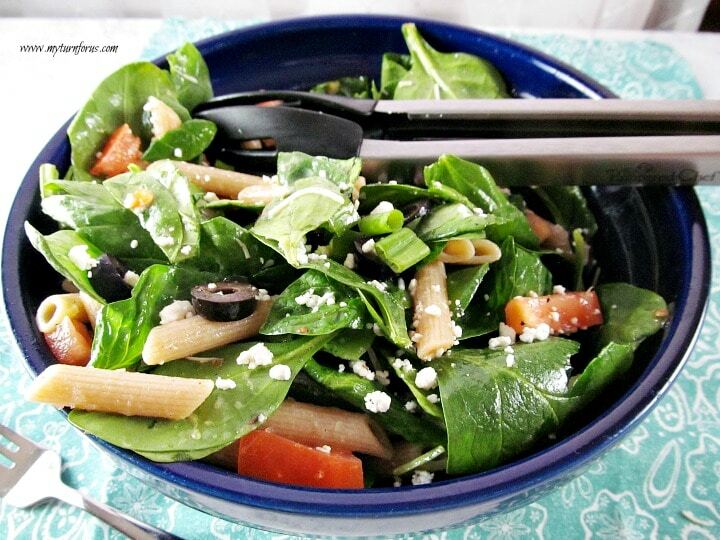 This Spinach Salad with Pasta recipe is a main dish in itself. 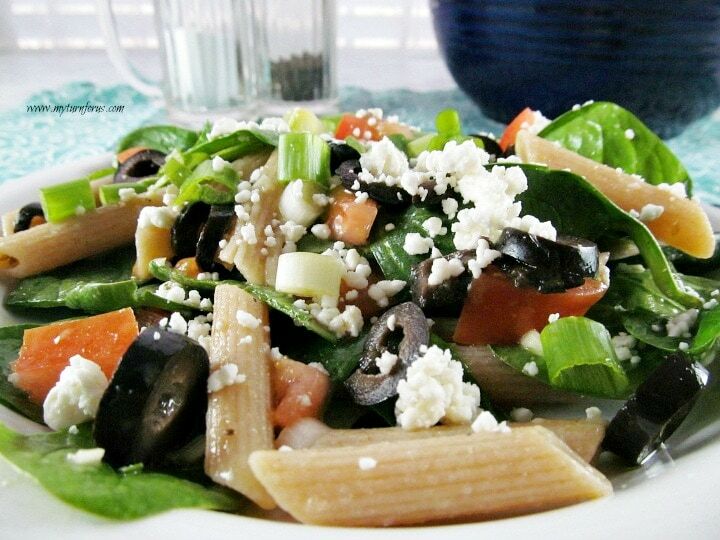 It’s loaded with Penne, fresh veggies, feta cheese and topped with a homemade vinaigrette dressing. 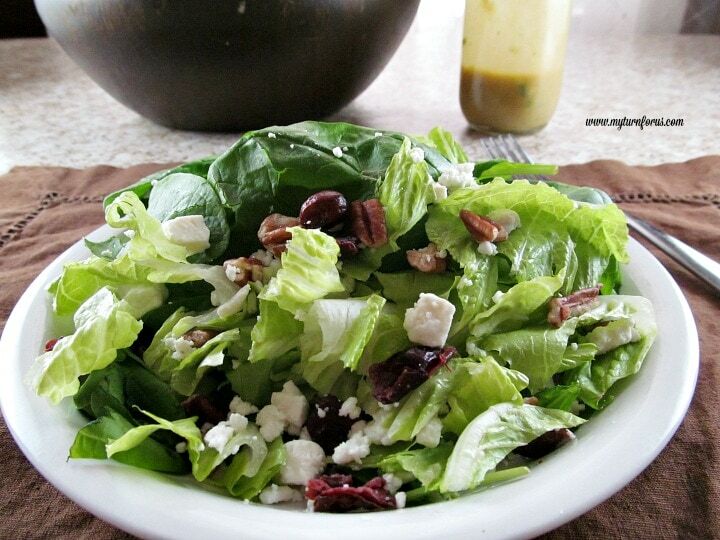 Do you choose the greens first in a salad and then add other veggies? Or do you open the fridge and search for veggies and then grab the greens? What about fresh spinach? If you told your family, you are choosing fresh spinach, do you hear groans? Most spinach salads have the same ingredients, onions, eggs, and bacon and it is delicious but does it have that wow factor that silences all those groans? Don’t get me wrong, I am a traditionist in most things and I love a great spinach salad but I also like to shake our meals up a little. 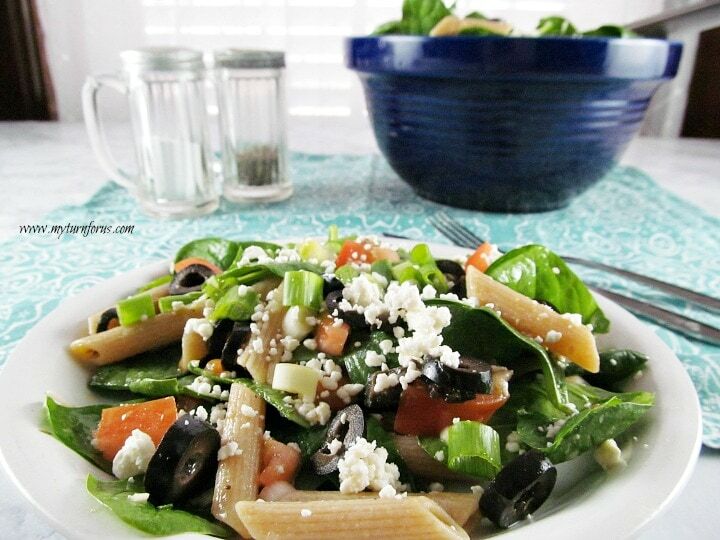 And shake up this salad, we did with this Spinach Salad with Pasta. 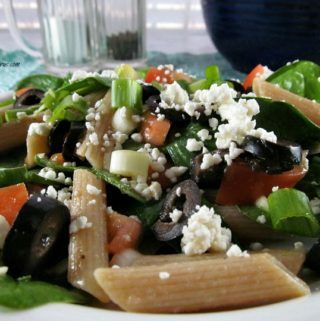 This salad is loaded with healthy fresh spinach, whole grain penne pasta, ripe olives, fresh tomatoes, feta cheese and a homemade dressing. 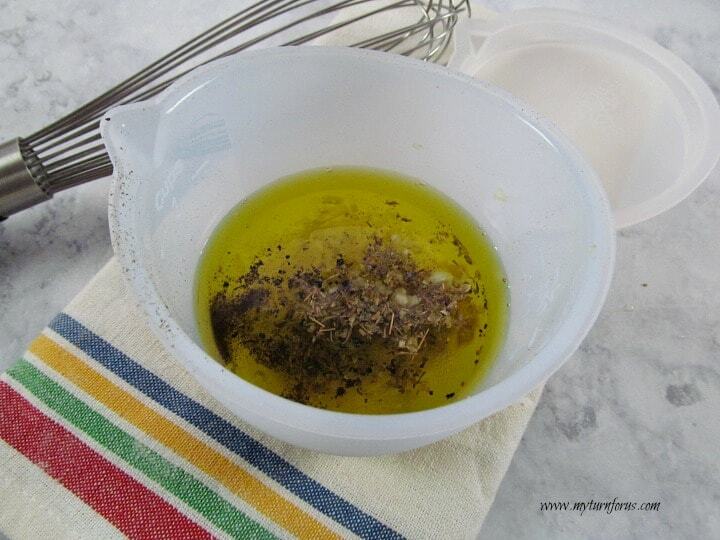 We make our dressing with wine vinegar, virgin olive oil, parmesan cheese and fragrant herbs. Shaken together, it created an emulsion of flavors that would accent any salad. Most meals we have a salad, either with a wrap for lunch or to start off our evening meal. We love a plain lettuce and tomato salad but sometimes we wish for something different and this Spinach Salad with Pasta satisfied that wish. 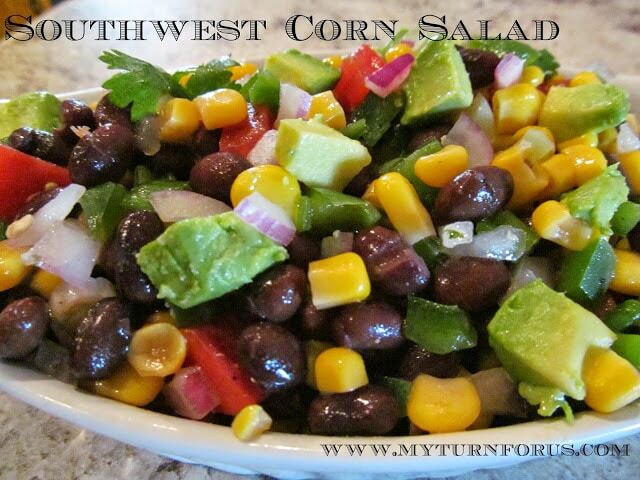 Of course, this salad could also be the main dish and would make a great Meatless Monday meal. This Fresh Spinach and Pasta salad is also very versatile, add grilled chicken breast, beef or tuna to turn this into a main dish. Cook pasta accordingly to packages directions, (al dente), drain and rinse in cold water; set aside. 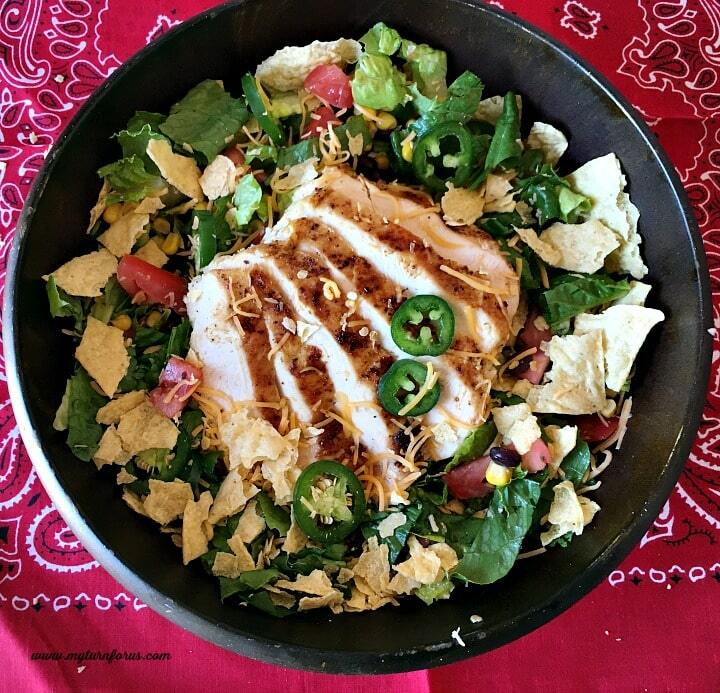 This salad looks wonderful- how many servings does the recipe make? Thanks for the recipe!